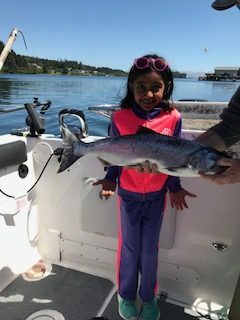 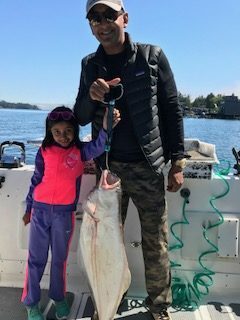 Rahul and daughter from Nevada have a nice halibut and Chinook landed outside of Ucluelet. 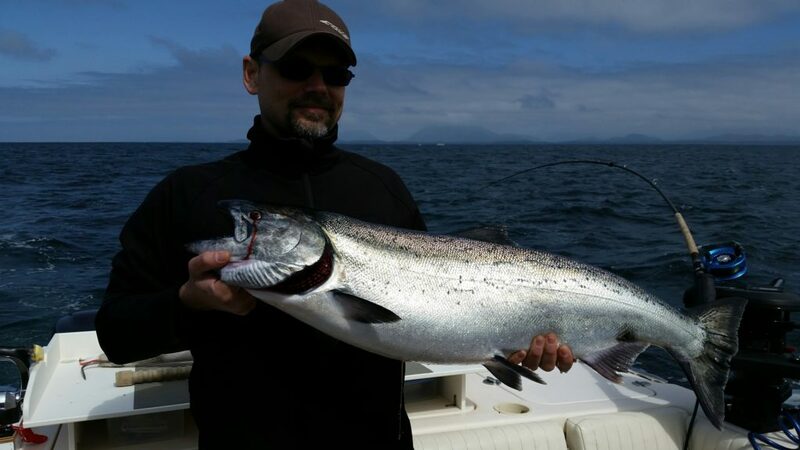 These salmon were landed on lighthouse bank and long beach. 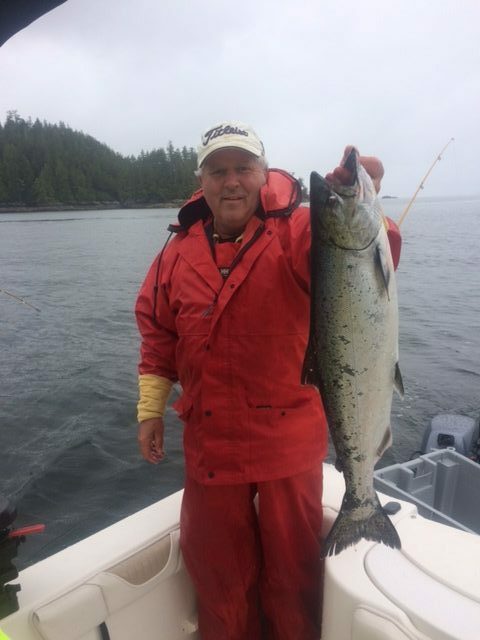 Guide Alan had guest using needle fish hootchies.